We Provide Event Staff Services in Toronto to Make Every Event a Success! 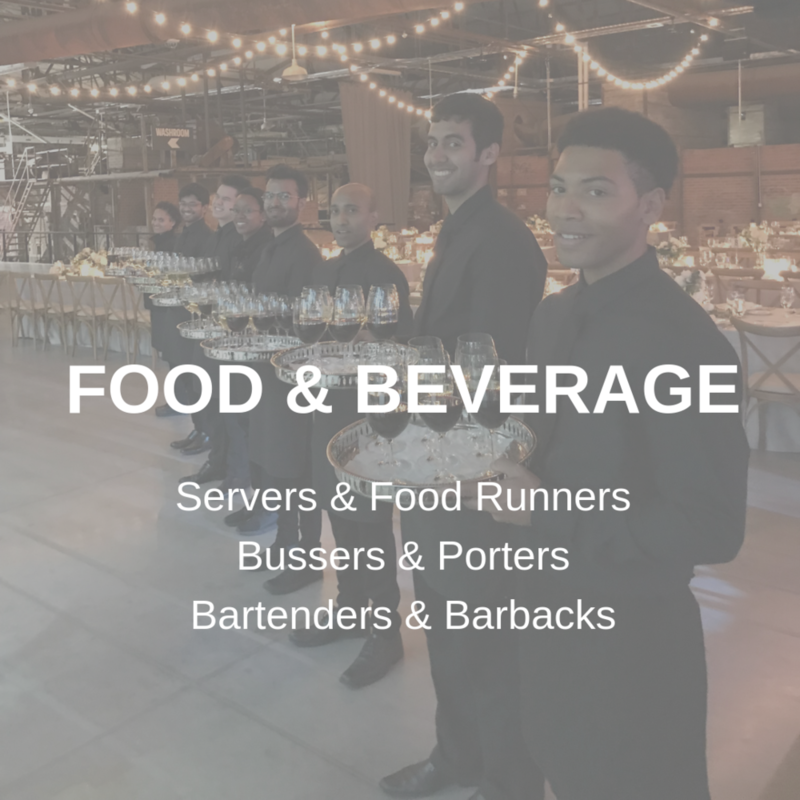 As an experienced event staffing agency, we provide front of house staff to both corporate and social environments of the events industry in Toronto and GTA. All members of Leave it T.O. us event staff team are Smart Serve certified through the Hospitality Industry Training Organization of Ontario (HITOO) as required by the Alcohol and Gaming Commission of Ontario (AGCO). Every team member is covered by Workplace Safety and Insurance Board of Ontario (WSIB). Need Staff? We’ve Got You Covered! Leave it T.O. us Inc.
© 2019 Leave it T.O. us Inc. All Rights Reserved.